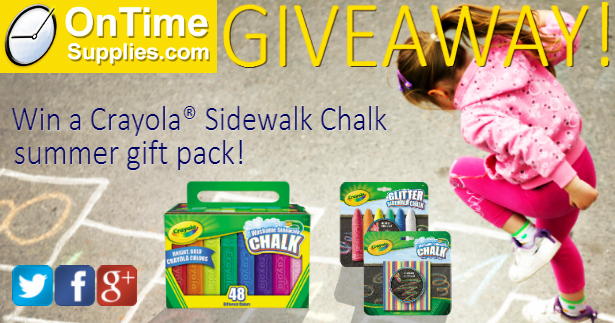 OnTimeSupplies.com is giving away a Crayola® Sidewalk Chalk Summer Pack to one lucky winner! This fantastic prize package is going to make for some very happy kids. The Crayola® Sidewalk Chalk Summer Pack includes every thing your kids need to make yours the most awesome driveway on the block! 48 Washable Sidewalk Chalk Sticks: create BIG outdoor art in bright Crayola crayon colors. 6 Washable Glitter Sidewalk Chalk Sticks: add sparkle to your art with cool, glittery effects that catch the sunlight. 5 Washable Multicolor Sidewalk Chalk Sticks: create multiple color lines with each stroke with 4 layers of color. 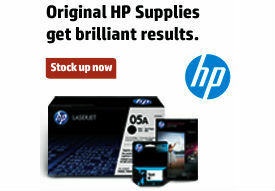 Follow OnTimeSupplies on Google+ and share the giveaway. We offer four different entry method to make it easy to participate in OnTimeSupplies.com Giveaways. But if you do all four, you get four entries! Just make sure you leave a separate comment for each entry you do! 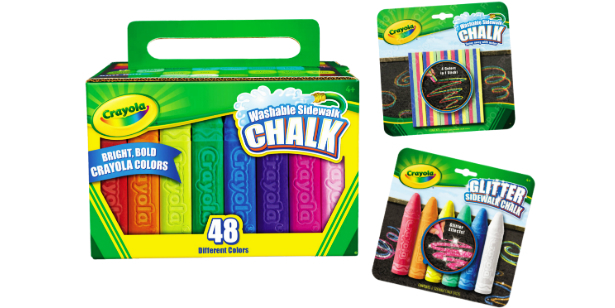 The Crayola® Sidewalk Chalk Giveaway ends Tuesday, July 1st. We’ll announce the winner Wednesday, July 2nd.